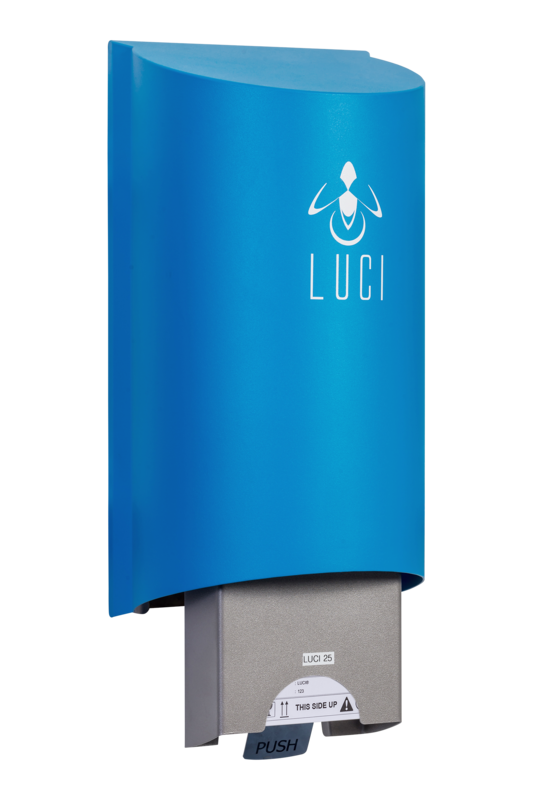 Meet LUCI®; an on-line milk monitoring instrument for Somatic Cell Count directly connected to the milking machine, in the stall. LUCI® takes a milk sample during the milking of individual cow. Using the power of nature – bioluminescence – the milk is automatically analysed for sub-clinical mastitis based on Somatic cell count (SCC) during the earliest stages, allowing the farmer to intervene quickly. Each individual cow is measured independently. The data is sent on to a central database along with the registered cow number. LUCI® is a highly sensitive device, allowing the farmer to monitor the trend and see variation in the SCC levels at very early stages, ideal for preventive treatment. Early detection of sub-clinical mastitis followed by the appropriate treatment reduces the risk of contamination, reduces the use and cost of antibiotics. Early detection increasing the chances of recovery, and less loss of milk yield.